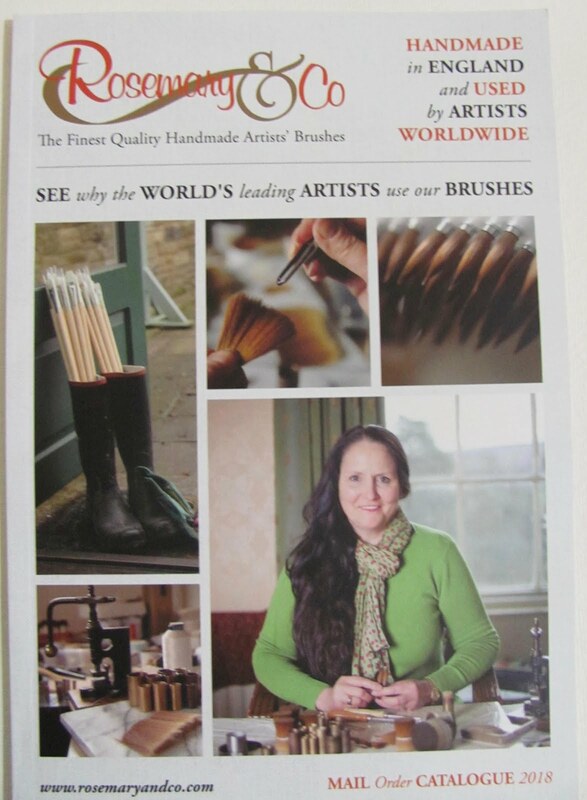 Rosemary & Co are one of the leading British brushmakers with probably the largest range, the other specialists being Pro Arte who are major and smaller operations like Luxartis. Pro Arte are strongly represented in British art shops whereas Rosemary, who is the main brushmaker, sells only by mail order and at Art events. I think there may be one or two smaller operations as well. 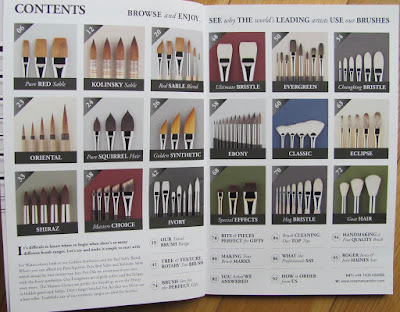 Of course companies like Winsor & Newton, who are famous for Series 7, and Daler Rowney also offer brushes but where are they made these days? I believe Rosemary also makes some own label brushes. 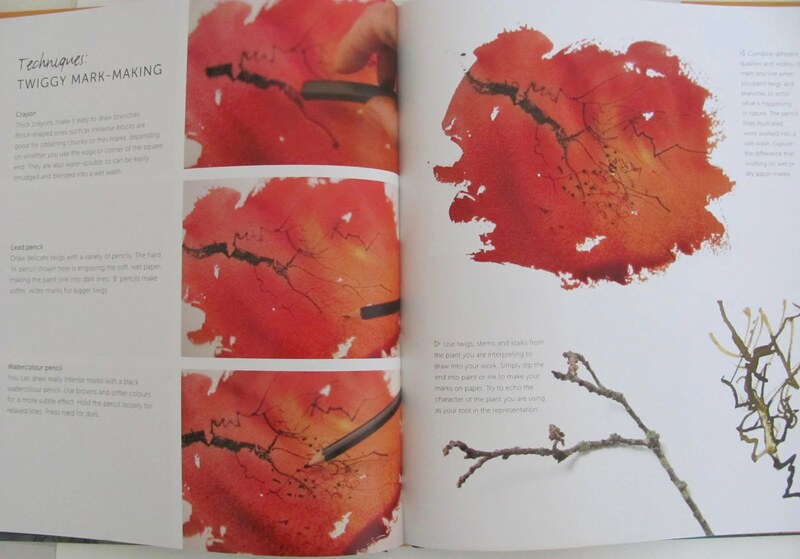 Originally Rosemary and her then husband ran ABS brushes and when they parted she soon started again as Rosemary & Co. 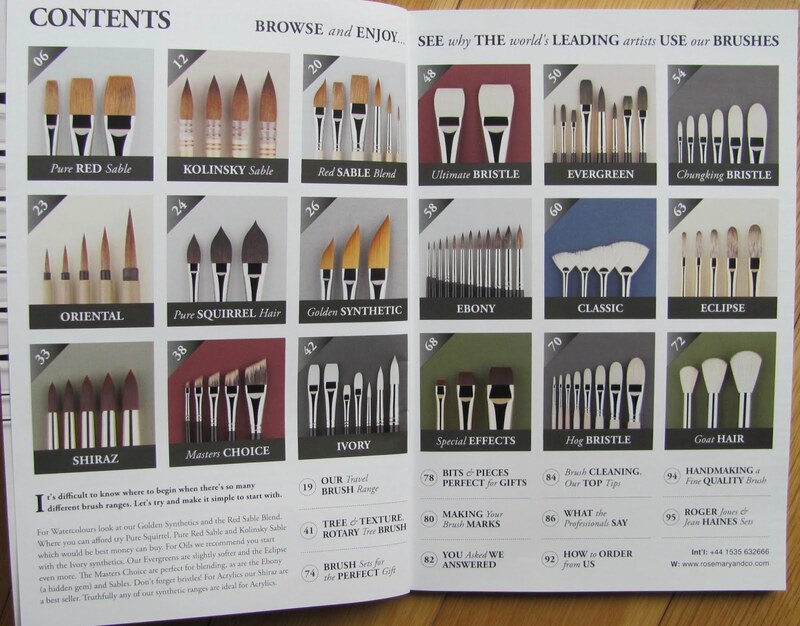 The catalogue was virtually identical but has now been expanded and is very comprehensive with a huge range covering all types of brushes and mediums. She has a large and loyal following of British and overseas artists and works closely with a number in developing brushes. As you can see the information is extensive and there is much useful stuff about brushes, what they are for and how to maintain them. The catalogue is a mine of information. Series 8 Kolinsky were a favourite with many artists but Kolinsky prices are now really only for the very well-healed or top artists. For amateurs to pay these prices, especially with a restricted budget, is difficult to justify. The obvious choice is Red Sable with a Size 8 round £11.59p, compared to £39.95p for Kolinsky Series 8 round. There may be a difference but I doubt it would be much to most artists. She also offers a range of synthetics that are very good. Red Sable blend, a mixture of animal hair and synthetics. This is Series 401/402 in rounds with a Size 8 costing £6.90p to £7.30p! 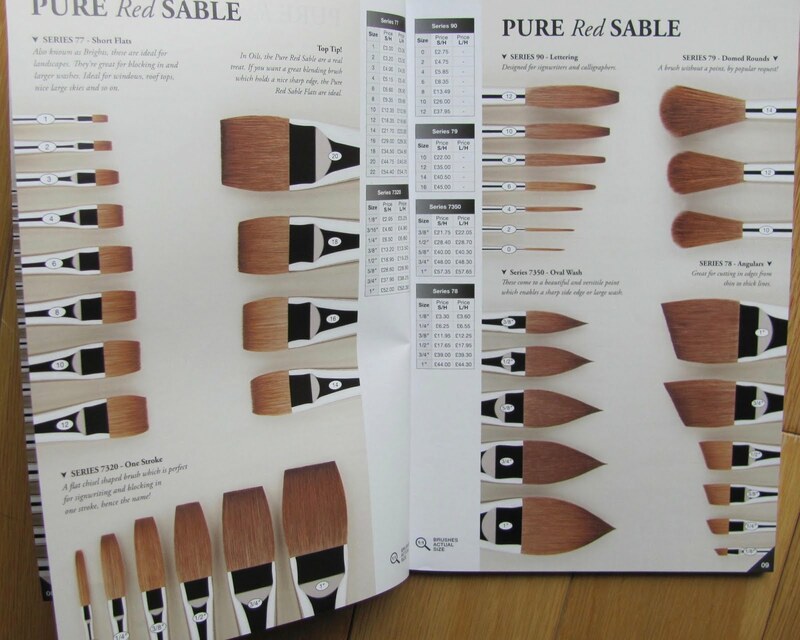 Rounds, Daggers , Riggers, Sword Liners and One Stroke are also offered in this blend. The best artist in my Avon valley Artists group is Yvonne Harry, who mainly paints flowers, and can compare with most professionals. She mostly used Pro Arte synthetics , often purchased as seconds at art events, but was persuaded to try Jacksons own label sables (made by Rosemary?). She didn't like them saying she found them too soft. However recently she tried the Rosemary 401 series and has really taken to them. Although this is fairly recent she likes the better stiffness with the mixed blend and also likes the way they point well. 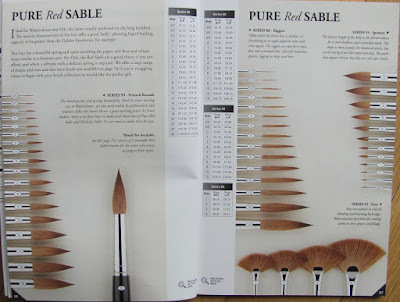 Should I have to buy any more brushes they would be my choice. This is the latest, and apparently the last book Ann Blockley intends to write. 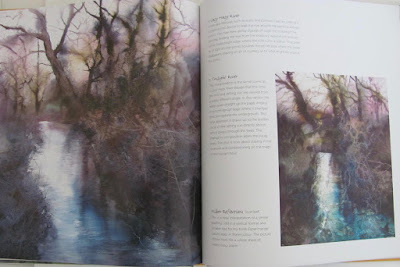 I have her 'Watercolour Textures ' (Collins 2007), which is quite similar except she goes even more abstract in this one. Ann was originally known as a very good flower painter and my sister, who lives not far from her, has two of her flower paintings. They are beautifully done but more realistic, although not botanical or super realistic. The interesting thing is the way she has changed direction, something her famous father the late John Blockley also did. John Blockley was in the same group of British artists as Seago and Wesson and considered an exceptional artist, who painted mainly landscapes and other outdoor subjects, often bleak ones with a predominance of grey and earth colours. Later he changed direction becoming much more colourful and became President of the Pastel Society. She has also done something similar - although always colourful - in that her style has altered and her subject matter has widened to include landscapes and tree paintings. 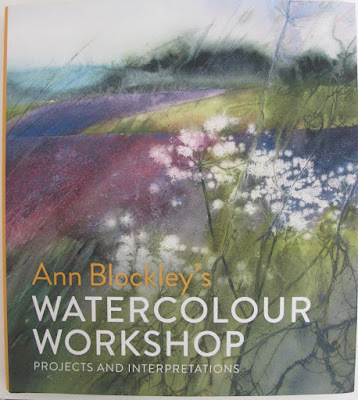 Some of my paintings friends, including Pauline who loaned me the book to review, and has attended her workshops, are ardent Blockley fans. I think her work is very interesting - really pretty amazing actually so this isn't a putdown, but you need to buy into it to benefit from this book. 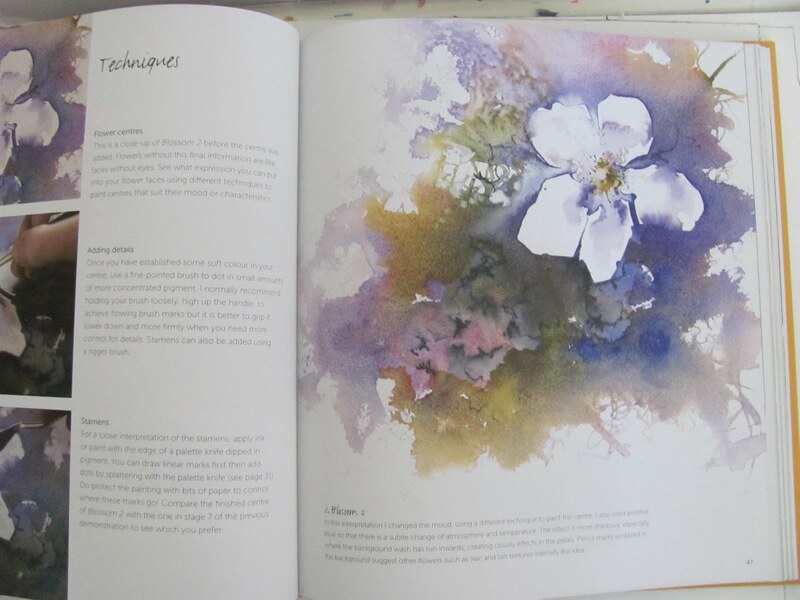 It isn't for the faint hearted or beginners, as achieving this level of expertise and the ability to emulate her work requires really hard graft and determination. Rather like my fascination with Charles Reid, which although nothing like her style and apparently much simpler isn't actually when you get down to it. It's taken me years and I'm still not there although, in each instance, I stress I'm not talking about copying exactly how these artists work but being influenced by it with your own input. A nice useful book? Yes with the qualifications I've made.